GP1050 Series for 9.5" Wide Guard SailPods are for mounting a single Radar or Chartplotter at the helm. Navigation at your finger tips. "Where you need it. When you need it". 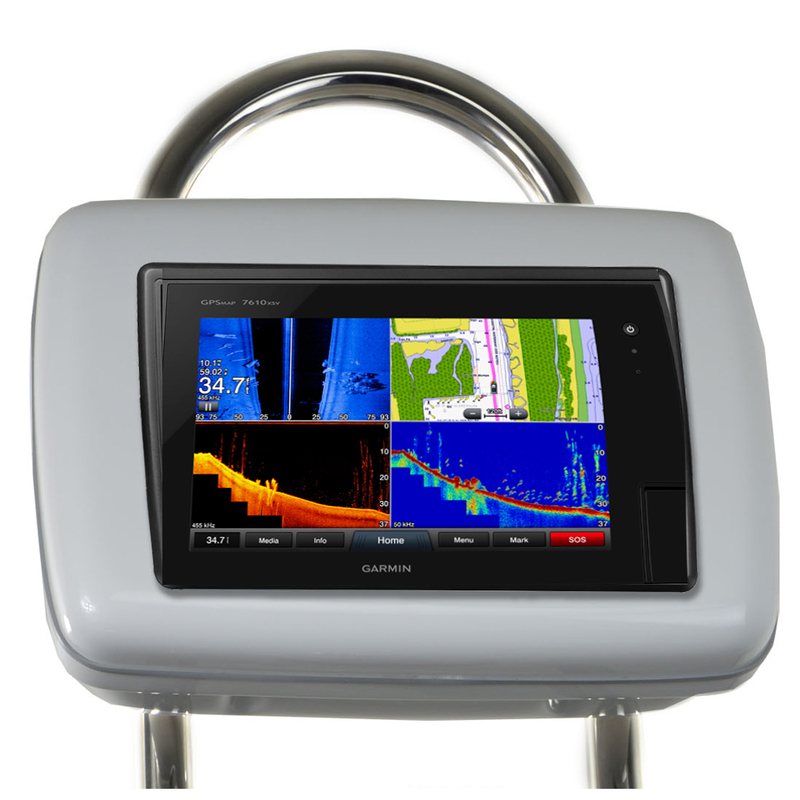 Sail Pods are the smart solution for mounting your Radar or Chartplotter at the helm where you can easily operate and clearly see the fine details of the screen. NavPods have a high gloss finish, giving you a clean mounting solution while concealing unsightly wires. Nickel Chrome plated tamperproof screws provide a little bling and a lot of security. Designed with a double gasket waterproof seal, NavPods protect your electronics from the harshest of wet offshore boating conditions. A SailPod is best mounted on a Single Bend AngleGuard or use a Double Bend AngleGuard to fit an InstrumentPod on the top vertical section and SailPod below on the angled section.